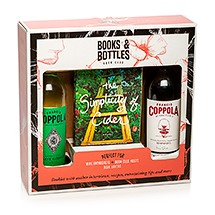 Presenting Books & Bottles Volume 3, exclusively from Francis Ford Coppola Winery and Tall Poppy Writers. 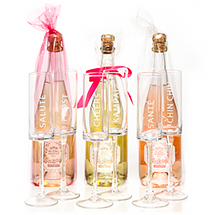 The Simplicity of Cider Gift Set – (1 paperback book, 2 bottles of wine). The Simplicity of Cider is a novel about a prickly but gifted cider-maker whose quiet life is interrupted by the arrival of a handsome man and his young son at her family’s careworn orchard. From the warm and funny Amy E. Reichert, The Simplicity of Cider is a charming love story with a touch of magic. Paired with Director’s Zinfandel and Diamond Collection Pinot Grigio wines.